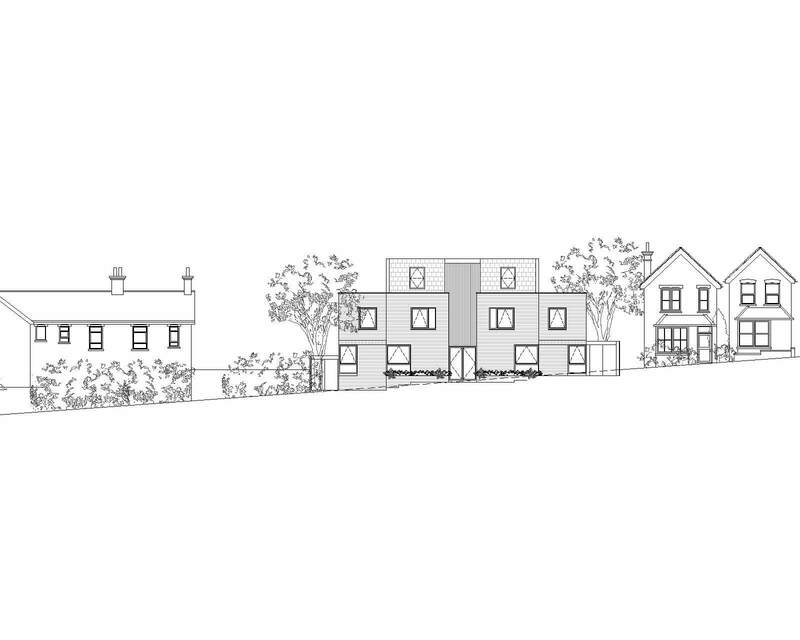 A compact scheme for a private client wishing to maximise the development potential of a site in Surrey. The form of the building acknowledged the rhythm and scale of the existing street frontages. External terraces overlooking the rear garden were provided to the flats on each floor. 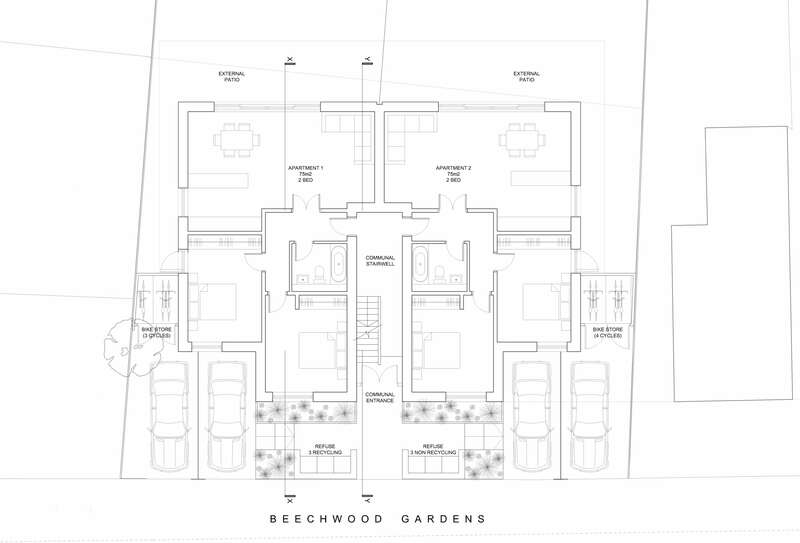 Brickwork detailing was used as a reference to the existing vernacular and to add visual interest.